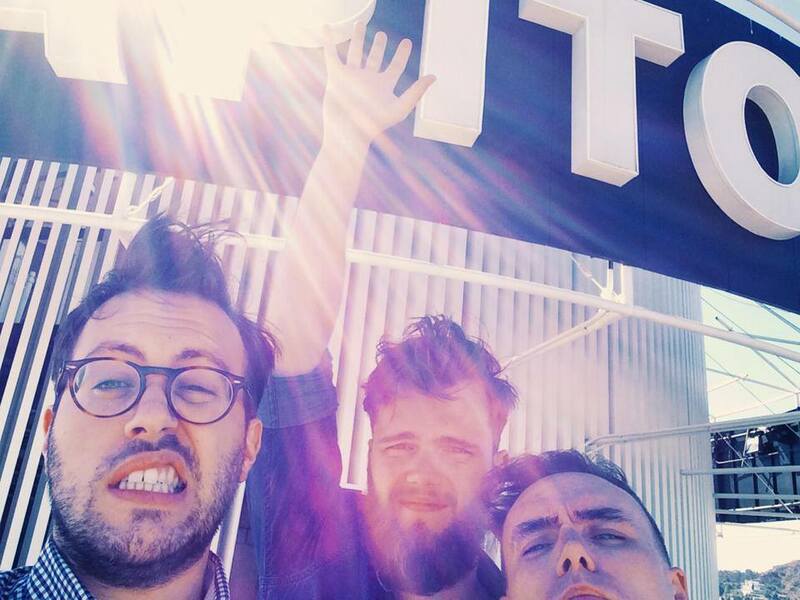 I’ve featured Glasgow trio Prides on this blog before, and you can read my interview with Stewart from the band over on God Is In The TV. 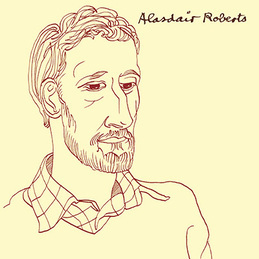 Though he has quite an impressive indie pedigree, Alasdair Roberts’ work under his own name mostly belongs under folk. This latest album sees him continue to investigate traditional Scottish folksong, even though all of what he presents are his own compositions. For those who associate ‘folk’ with artists that might simply be using a an acoustic guitar or banjo, this may seem an unfamiliar world, but it’s one that’s worth taking time to get to grips with. Sure, it might seem odd that someone in 2015 is writing songs with names like ‘The Final Diviner’ or ‘The Mossy Shrine’ but whilst he may be a fan of traditional structures and sounds he avoids the snobbery that characterises (and puts off outsiders the stereotypical image of the folk purist. So while this album may not reveal all its charms immediately, songs like ‘Artless One’ and ‘In Dispraise of Hunger’ reveal a singer-songwriter working in stripped down, but definitely not bland, traditional stylings. And I promise you: each additional play will warm your heart just a little more. Alasdair Roberts is out now on Drag City. Before the release of this album, there were two tracks doing the rounds, and one of them was ‘Silhouettes.’ I bring this up as it’s a great track if not necessarily typical of the album as a whole. Canadian band Viet Cong has been described as being post-punk, which they are in spirit, but it should be noted that their spiritual forebears are the uncompromising likes of Pere Ubu, Throbbing Gristle and PIL (without so much of the dub reggae of the latter). 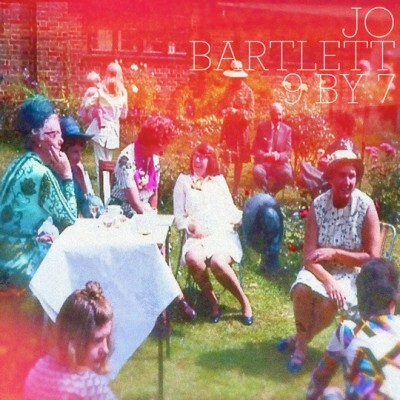 It is a very good album, and doesn’t take any prisoners. Right from the off, it grabs your attention with ‘Newspaper Spoons’ and holds your ears in its vice-like to the closing moments of ‘Death,’ which clocks in at over eleven minutes. Post-punk was about exploring possibilities beyond what was perceived as the ultimate limitations of punk. It’s perhaps a mixed blessing that it’s utterly conceivable that this record could have come out in 1979, but the ultimate thumbs-up is that it would be a challenging but rewarding listen in ’79 or 2015. 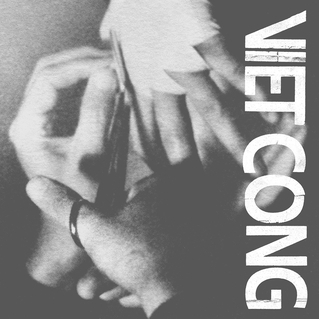 Viet Cong is out now on Jagjaguwar. One of my most anticipated albums of 2015 is the latest album from Belle and Sebastian Girls In Peacetime Want To Dance. The album has now arrived, and it is the best album I have heard so far this year, out of about fifteen or sixteen. You can read my review over at Is This Music?, a Scottish online music magazine I have contributed to for many years. 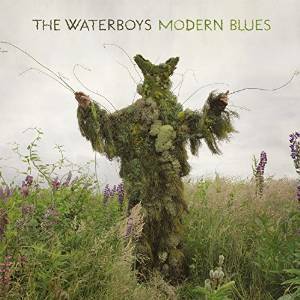 Right from the very beginning, the Waterboys have mixed folk and rock, with varying emphasis on one or the other on various albums. But what makes their new album so exciting and shows a willingness to try something different in their fourth decade is the fact that not only was this recorded in America, it sees Mike Scott and long-term violinist Steve Wickham collaborating with American musicians to produce a rock record respectfully paying homage to American sounds, as distinct from trying to make a record for the American market. The album opener ‘Destinies Entwined’ sets out the stall for the album. In some ways, it reminds me of the album opener of 2000’s ‘Let It Happen’ from A Rock In The Weary Land. Yet this time, rather than weary, Mike Scott seems invigorated here, and dare I Say, at peace. And added to the usual mix of folk and rock, over the course of the album – recorded in Nashville – we hear Country, soul and blues enter the mixture. There’s nothing to be gained by speculating what Mr. Scott may or may not have been listening to whilst making this album, but I hear him doff his songwriting cap to the likes of Bruce Springsteen and Marvin Gaye and of course, Elvis. There’s always been a spiritual quest in Mike Scott’s work, as well as meditations on life and love. ‘I’m still here…I’m still a freak…I’m still ahead – and I’m doing fine’ he tells us on ‘Still A Freak.’ It’s the sound of him having fun and being content, still exploring what the definition of ‘The Big Music’ may be. Lang may his lum reek, as we say in Scotland. Modern Blues is released by Harlequin and Clown on January 19. 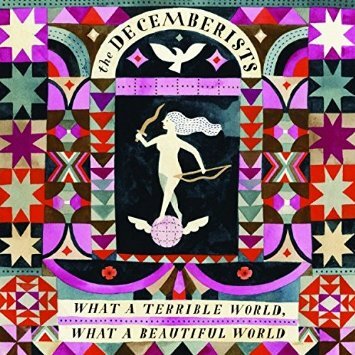 The Decemberists are one of those bands that I’ve always been aware of, and liked what I’ve heard without being particularly blown away. However, their seventh album is one of the first great albums of 2015, and it’s one of those albums that not only do you want to go back and listen to it all over again when it’s finished, but you also want to go and check out their back catalogue. And in a funny way, though it sounds nothing like it, it’s rather like the warm, fuzzy feeling you got listening to Vampire Weekend, that of a great collection of songs. Sure it may soundtrack campuses, but the last time I checked, that wasn’t a hanging offence. What A Terrible World, What A Beautiful World is released by Rough Trade on January 19. Having really enjoyed Purity Ring’s debut album Shrines, I’ve no idea why I appear not to have featured them on the blog before. So time to put that right. …and it would, as ever, be great to know what you think about it! 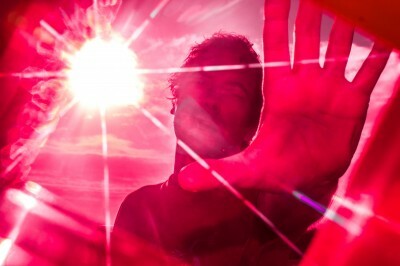 They’re shortly to release their new album, The Scene Between on Memphis Industries on March 23. 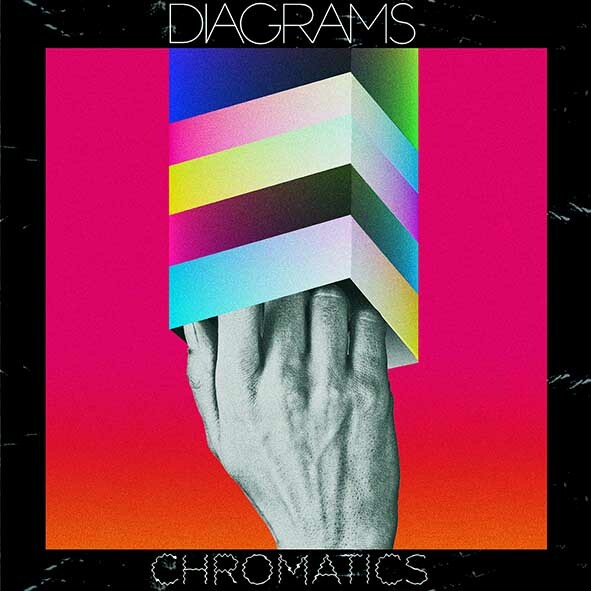 Diagrams is the work of one Sam Genders, formerly a member of folktronica group Tunng. Chromatics is his second album, and it makes for a very enjoyable listen. 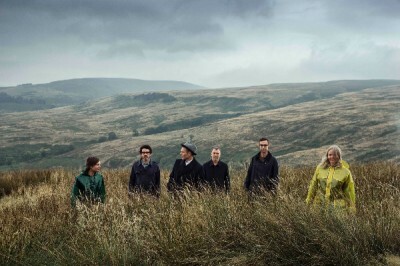 Folktronica has become a much-derided term, but if we’re going to try and leave that behind, the fact remains that this album is equal parts 60s folk and gentle electronica. This may not be a groundbreaking combination in 2015, but this album reaches through like a gentle hug, utterly necessary in this cold British weather. Second track ‘Gentle Morning Song’ is exactly what you think it might sound like, in a good way. 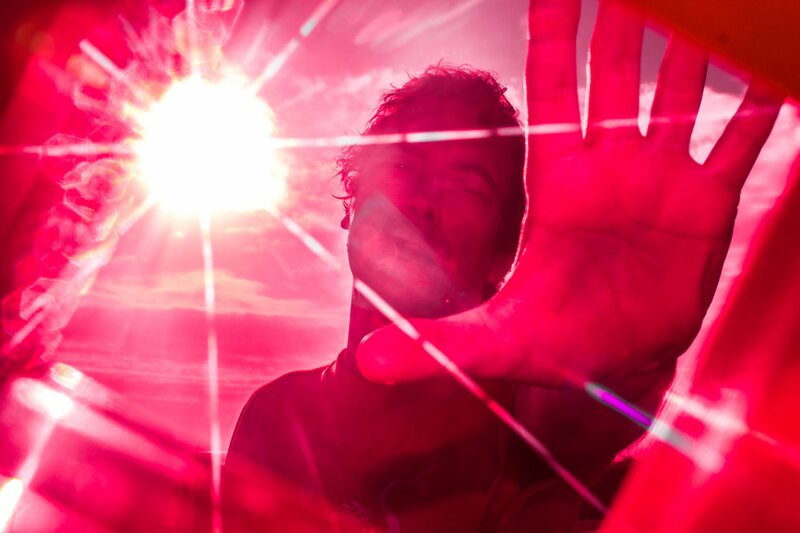 There’s folky pop songs here, but the balance of electronic sounds mean that it’s – thankfully – not just another bloody singer-songwriter album (God knows there’s way too many of those around). And whilst this isn’t a life-changing record, it’s one that like all good albums should manages to reveal a little more of itself with each listen. 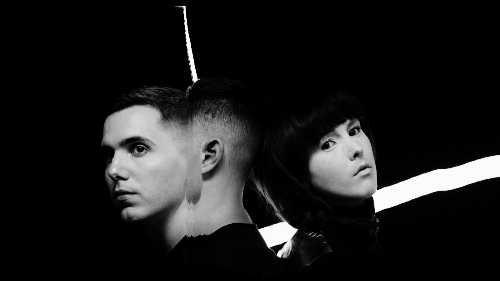 Repeated listening brings rewards and whether it’s the excellent opener ‘Phantom Power’ or the hauntingly beautiful title track, this is like a ray of sunshine through all the rain. Jo Bartlett was the Jo in It’s Jo and Danny, and amongst her other achievements over the past fifteen years is that of founding the Green Man Festival in Wales. She now unveils her latest solo album and the feeling is…it’s alright, but this could have been so much more. It’s not to say it’s a bad album. It’s not unpleasant and over the course of thirty-three minutes it doesn’t outstay its welcome. The issue with it is simply that while it’s pleasant enough as background music, there’s nothing here to make you sit up and consider this as something special. It starts off with recent single ‘Dying Kiss’ which is acceptable, but the problem is that the nine tracks here just potter along, without anything to particularly recommend them, and sadly, at the end of the album, it seems to have just melted away. It’s her album, but I can’t help feeling that the album would have benefited from either being more stripped down, or alternatively investigating her more adventurous impulses; instead of the end result which just feels like there’s nothing to separate it from so many other albums. 9×7 is out on Strike Back Records on January 12.